Cholesterol hair treatment is a perfect solution for you who have continual hair problems, such as damaged hair, that can ruin the beauty of your hair. As we all know that hair is the crown of our body. It is one of the things which define beauty, especially for women. Having damaged hair is one of terrible and frustrating problems we need to deal with. 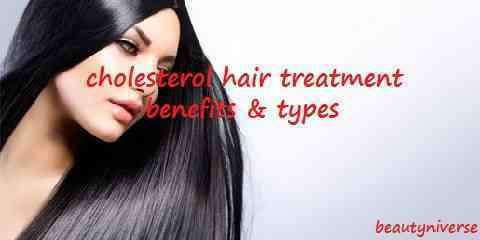 What is cholesterol hair treatment / conditioner? What are the benefits of using cholesterol treatment? You will get thorough valuable information about using cholesterol for hair in this article. Hair is called beautiful when it is smooth and shiny and when your hair looks dull, dry, fragile and limp means that it’s not in a good health. Maintaining the health of your hair can sometimes be very tricky. Your hair can be damaged by several factors and most of them are because your hair is exposed to chemical for quite long, coloring, the sun, and heat-application. Too much hair styling can also risk the health of the hair. Environmental factors also have the role in damaging the health of your hair. If you have damaged hair, you need to take immediate action to deal with it. Sometimes proper hair care is not enough to guarantee the good health of your hair. To help you treat your damaged hair there is a product that can help you repair damaged hair. It is called cholesterol hair treatment. This treatment repairs and brings back softness and moisture in your damaged or dry and dull hair, particularly after having continually processes of styling. The first one is hot oil cholesterol treatment. Hot oil is usually used to help bring back natural moisture of hair. 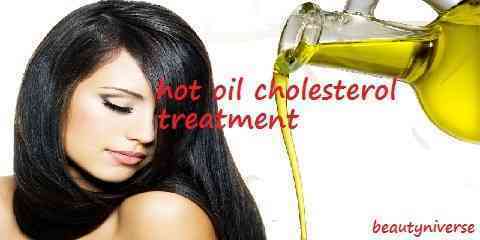 Furthermore, this cholesterol hot oil restores the shine in your hair. It makes your hair look healthier and restored than before. You can apply the hot oil after shampoo. Put a shower cap over your head for at last one minute then wash it off. Apply conditioner afterwards. The second type of cholesterol treatment is the homemade one. You can get cholesterol hair care from your kitchen, for example. Hair treatment is not merely you can obtain from hair products you buy. You can get more natural treatment from homemade material. Mayonnaise is one example of homemade cholesterol treatment. 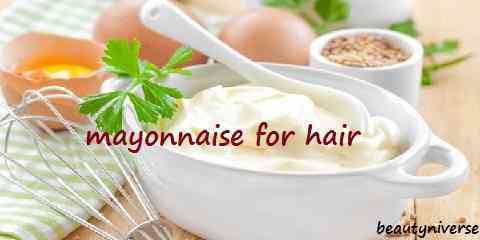 Apply mayonnaise regularly onto your hair makes it softer, shinier and your hair will get curls and waves. The last type is cholesterol deep conditioning treatment. This type of treatment is the most commonly used hair treatment by hair professionals. This treatment results in silky smooth hair. What you need to remember is that this treatment is only for external use. Do not consume cholesterol foods to get healthy hair because it doesn’t have the same result when you directly apply on the hair.